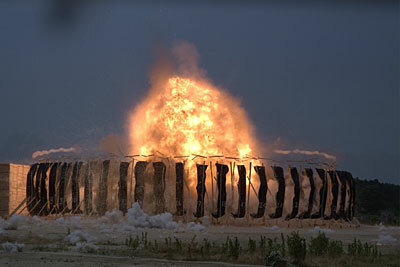 Electronic Detonators (CDUs, EDUs) and their CONTROLLERS, the combination also known as "firesets." 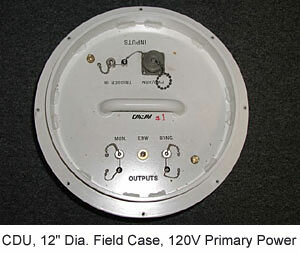 Capacitive Discharge Units (CDU's), also known as Electronic Detonator Units (EDU's) consist of circuitry to charge a capacitor to a high voltage, then to switch the energy in that capacitor into a low impedance load, typically an exploding bridgewire, foil, or the like, at the end of a transmission line. 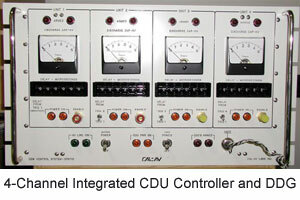 Typically, CDU Controllers are packaged as rack and / or bench-mounted units, intended for indoor use. 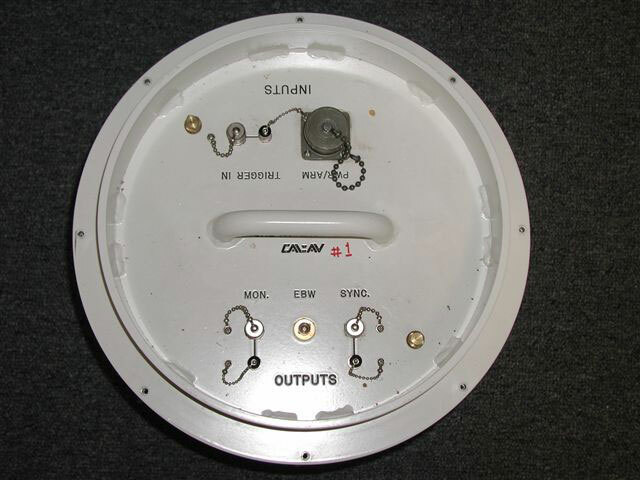 CDU's are typically packaged as field hardware and are hardened to a degree depending on the application. 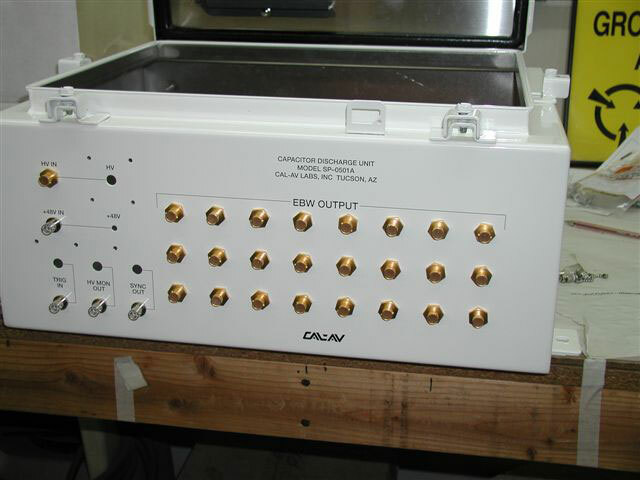 The CDU Controller unit is located in a control room, often a bunker or bombproof, and is operated from AC mains power. It generates both the high voltage and triggering pulse, which are sent over long cables to the remote CDU. 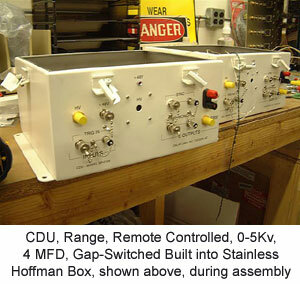 It may also generate a lower voltage for internal electronics within the CDU, depending on monitoring requirements. This configuration differs from the first in that AC mains power is supplied, along with arming and triggering signals, is sent from the CDU Controller to a remote CDU. 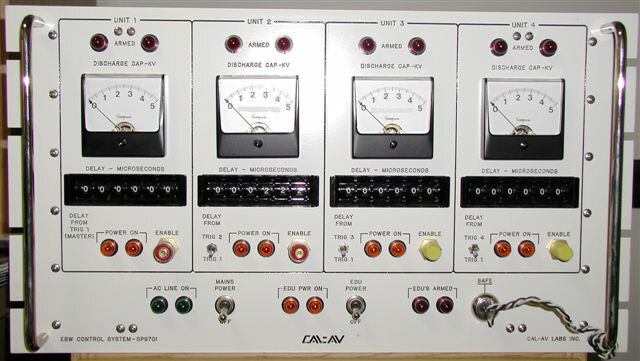 The CDU internally generates the high voltage required to charge its discharge capacitor. A variation of this latter configuration is that a control signal is used to enable remote (range) AC mains power to the remote CDU(s). Firing panels recently delivered provided the SAFE-ARM function, firing current, and built in low-current load test. They feature a count-down / count up timer, which controls both pre-fire and post fire loads. 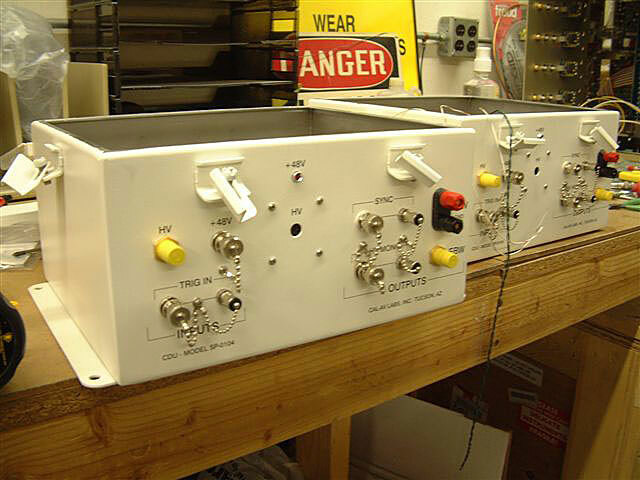 Control is based on an opto-isolated microprocessor. 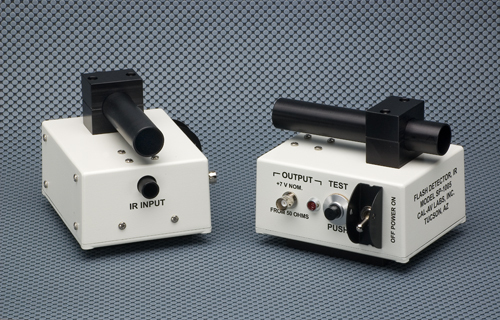 The primary application for this instrument is to supply a timing pulse upon detection of a flash. It has been used with a wide array of flash-producing items, including the following: Small arms, from pistols through small-bore rifles, minigun, and heavier caliber machine guns. Larger caliber tank guns and cannons. Various sizes of mortars. Shoulder-launched weapons. Explosives and flash-bang grenades. The SP-1005 is typically tripod mounted. It is self-contained, and battery operated. Size is approximately5 x 4.5 x 4.5 inches, overall. It weighs just under 2 pounds. Its output is a nominal 7.5-volt pulse from a 50-ohm source. Price is $1,265 per unit. Numerous specialized interfaces, signal conditioners, etc., utilizing both copper and fiber-optic inputs and outputs.